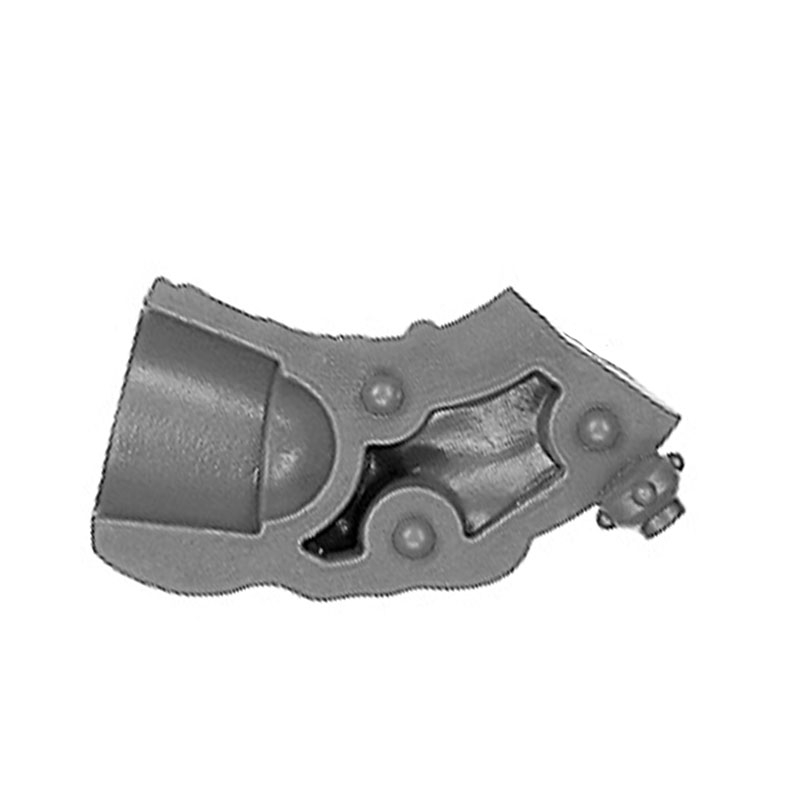 This is a part of a drakegun out of the Warhammer Fantasy Dwarf Ironbreakers / Irondrakes box. 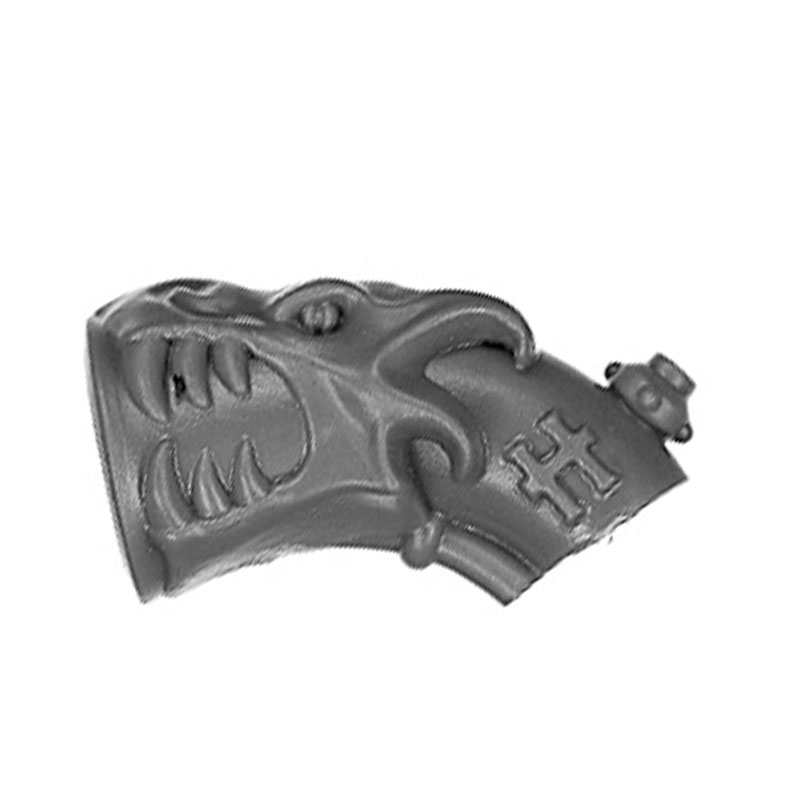 Ironbreaker are elitist dwarf warriors who are endowed by their towns with excellent weapons and gromril armor. They are the defenders and protectors of these dwarf cities and their tasks include to keep clear the tunnel and networks in the underground facilities. 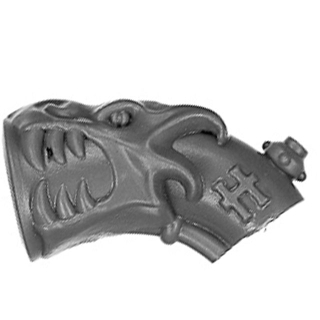 The Irondrakes of the dwarfs carry powerful Drakeguns and excellent gromril armor. 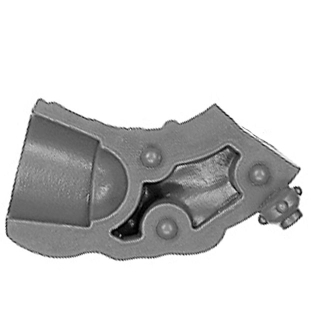 Due to the devastating destructive power these flame weapons are rarely used in the narrow tunnels.